I changed out one of my library bulletin boards at school for the month of October. I didn't want to do a totally Halloween theme. 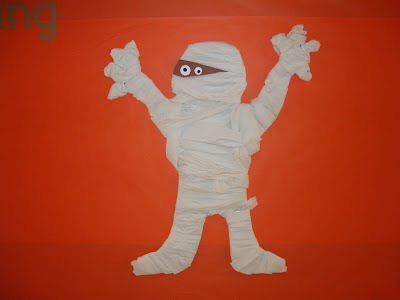 I decided on a mummy. From there I came up with the title, "All Wrapped Up in Reading". Cute, right? The title is the shadow from Simply Sweet. 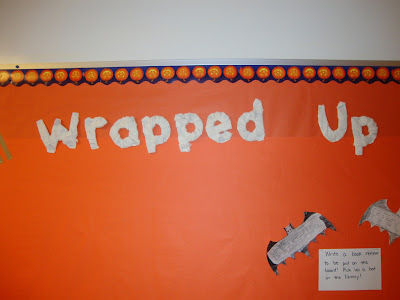 I went one step further by wrapping up the words "Wrapped Up" in tp too! 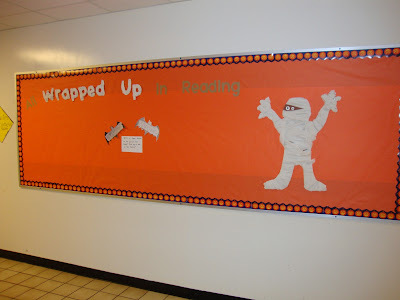 Students will get the chance to partake in this bulletin board if they complete a book review on a bat shape that they can pick up in the library. I hope to see it filling up soon! Really great idea! Go batty!